Costumed musicians perform outside the Southern Museum of Civil War and Locomotive History in Kennesaw, Georgia. Kennesaw, Georgia, has a population of 22,000 residents and is located northwest of Atlanta in Cobb County. The city dates to the 1830s when the Georgia legislature authorized the construction of a rail line through the county. 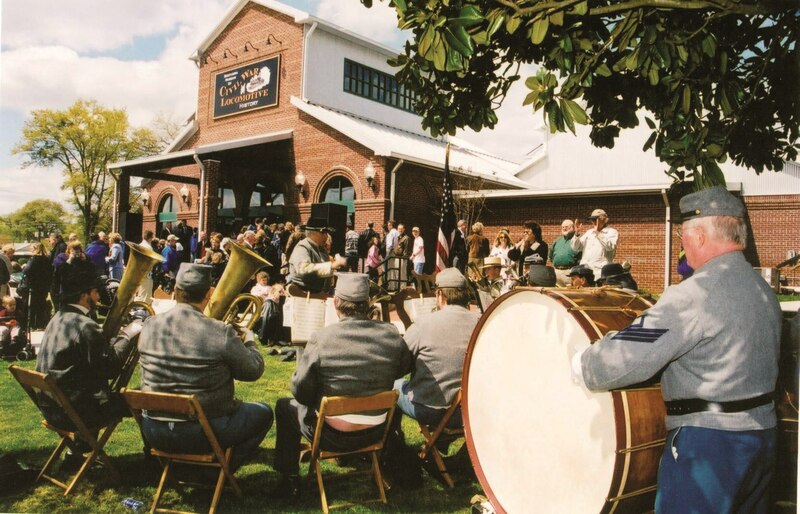 The railroad is integral to the community's history and, in March 2003, the City of Kennesaw and the Kennesaw Museum Foundation opened the Southern Museum of Civil War and Locomotive History. The museum, a part of the Smithsonian Institution Affiliates program, is the focus of a citywide heritage tourism and heritage education program. The city also has rehabilitated its 1908 railroad depot as a community museum. Originally called Big Shanty, reflecting its early history as a construction camp for Irish railroad workers, the city changed its name to Kennesaw after the Civil War to commemorate the nearby battle of Kennesaw Mountain. South of the city, Kennesaw Mountain National Battlefield Park preserves the site of the battle, which was fought during the Union campaign to take Atlanta. Kennesaw is an active participant in the Blue and Gray Trail, a regional heritage tourism driving tour that focuses on the many dramatic events that occurred in the area during the Civil War. One such incident occurred in Kennesaw, where Union soldiers hijacked a locomotive, triggering an 87-mile pursuit that came to be known as "The Great Locomotive Chase." The community also participates in the Dixie Highway Trail driving tour program. The trail celebrates the history and attractions of communities like Kennesaw that are located along the Dixie Highway, the first Interstate to reach into the South. In Kennesaw, visitors can enjoy historic resources in five historic districts. Kennesaw's Historic Preservation Commission oversees the city's historic preservation activities, and the National Park Service has designated the city as a Certified Local Government.